Lizzy Goodman on her epic oral history of NYC’s early-aughts rock scene. Like so many 16-year-old girls, the first time I heard the Strokes I fell in love. The beginning of “Last Nite” reminded me simultaneously of a movie I had seen once, of a life I wanted to someday live, of boys I wanted to someday know. To this day their first two albums immediately conjure the personal history of my teenage years, my move to New York for college, and my early 20s spent wandering around the East Village as if I was the first person to ever love it. 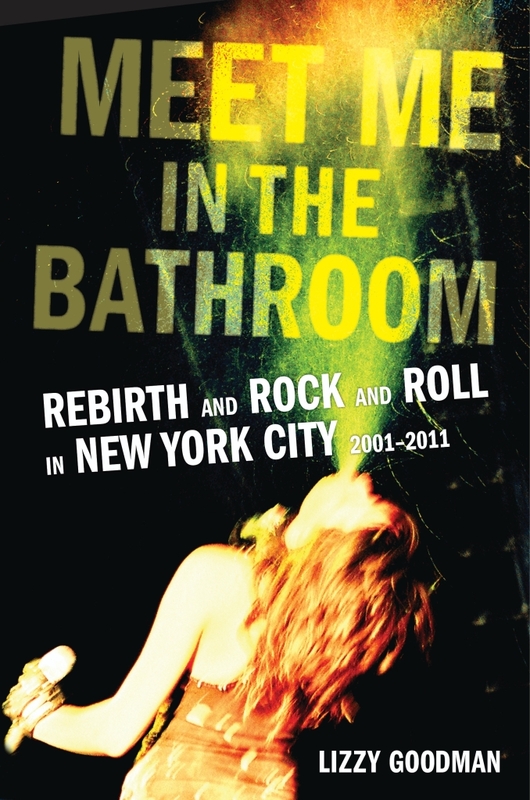 The Strokes may have inspired the title of Meet Me in the Bathroom (Dey Street Books)—author Lizzy Goodman’s mammoth oral history of New York’s early-aughts rock scene—but they aren’t its only focus. Goodman, whose work you’ve probably read in Elle and Vulture, talked to hundreds of musicians, journalists, and bloggers for the book. 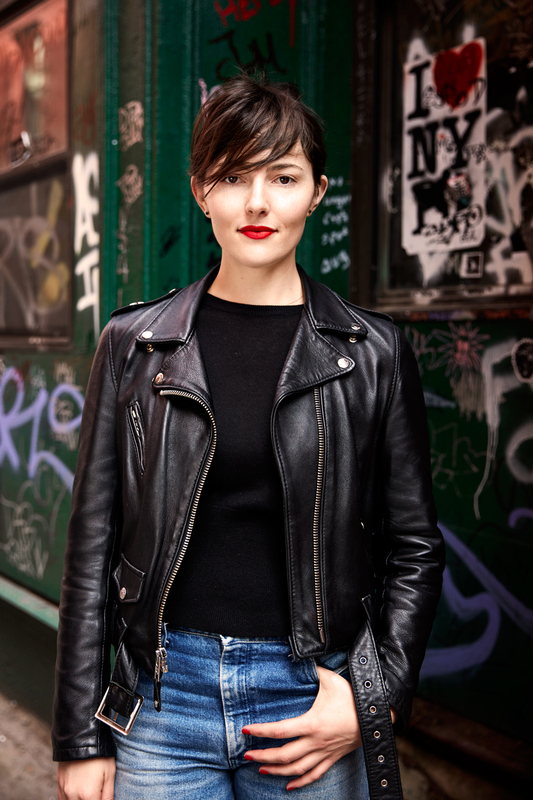 What emerges from her interviews with members of Interpol, Yeah Yeah Yeahs, LCD Soundsystem, TV on the Radio, and many, many more is a snapshot of New York as it will never be again—pre-Uber, pre-smoking ban, pre-Williamsburg as it’s known today—and a view of the music industry encountering a sea change of streaming and blogging and depleting major label bank accounts. It’s one of those “you should’ve been there” books that reminds you that the first years you spend in New York are the ones against which you’ll measure every other experience. How did this book come about? What was the process from pitching it to publishing it? Journalistically, I could just see the period the book covers—2001-2011—as a chunk of time with its own arc. So I started writing a proposal. That was the spring of 2011, and I finally sold the thing the following spring. The proposal was 70 pages long… I tend to make a habit of biting off more than I can chew, and then writing way too long. After HarperCollins bought it, it took another five years to finish! They were prying it out of my hands by the end. I never think anything is finished. What made you want to publish the book now? The timing is not intentional, though it’s worked out well because I think people have enough distance from the era covered that it feels like it’s definitively part of the past, but it’s not so long ago that it feels ancient. Also, so many of the bands featured are still active and, in a way, as dominant culturally as they’ve ever been. So it’s like reading about their youth—it’s like reading about my youth, actually. It’s a very personal book. I feel like it’s the story of my people, in our wild formative years. Before we knew who we were or what we even really wanted to become. You conducted over two hundred interviews for the book. How did you approach such a massive project both conceptually and logistically? God, it gives me a headache just thinking about it. My dear pal Maggie Rogers—who is now a bona fide rock star, which is so cool—was my intern and de facto assistant editor on this opus. She started with me right after her freshman year at NYU and she alone transcribed over 200 hours of digital files. She was one of maybe ten interns and transcribers I worked with at different points during the assembly process. I mean, I don’t even know how many hours I have. Thousands. They are all digital files, all recorded on a tiny little Sony recorder, which is now quite battered. It’s still the one I use for all my journalism. It’s reliable! How did your experience as a freelance writer affect the way you approached this book? The fact that I’d been writing about music for so long allowed me a way into this world. I’d interviewed many of the book’s main characters for stories in the past, so I wasn’t a total stranger rolling up and being like, “Hey, tell me all your secrets.” I think that helped. It also helped on a purely logistical level because I knew the right managers and publicists to reach out to for help with setting up these interviews. The behind-the-scenes logistics were epic. So that was huge. In terms of my perspective as a freelancer—I mean, freelance life is brutal. It makes you hungry and efficient. Those qualities proved key, because this is by far the most ambitious project I’d ever undertaken, and ever hope to undertake, frankly. So a sense of ruthlessness was important. Was there anyone you didn’t get to interview that you’d really hoped to include in the book? Carlos D! My white whale! He said no. A lot. I bugged him for years and he just consistently, politely declined. In the end, I respect it. He was one of the most committed-to-the-lifestyle rock and rollers of my generation. And now he’s equally committed to his new life. You’ve got to respect the consistency. Which storyline surprised you the most? The DFA stuff. Theirs was the world I had the least knowledge of going into the book. I didn’t know James Murphy or any of his cohorts. I had no idea they were such lunatics, carrying on as they did in the late ‘90s and early 2000s, while, in other corners of downtown NYC, Yeah Yeah Yeahs and Interpol and the Strokes were doing the same. Uncovering that world was really fun. They are all such great characters. Which unpublished section was the most difficult to cut? There was a lot more MGMT and Grizzly Bear and assorted other so-called “Brooklyn bands.” In the end, I felt like that was another book, and to go there in full would just make this thing endless. The bands that appear in the latter third of Meet Me In the Bathroom (and many that don’t) are all valid New York artists—which is to say they used NYC as the backdrop for their creative launch in some important way—deserving of a deeper dive. But that’s another book. Kill your darlings, and all that. You had the unique experience of approaching this book as both a fan and someone who was actually there. What was it like to orchestrate this whole book but not contribute your own anecdotes? Relieving! I do have a lot to say about my own personal experiences of the time, but I think those recollections are best either taken to my grave or recorded in a different form, down the line, as a memoir or an essay collection. I did toy with the idea of having someone like Maggie interview me for this, and then weave my own commentary in like any other source, but in the end it felt self-serving and awkward. I can’t be objective about myself, obviously. So… stay tuned for the memoir. I guess.